Envelopes are available at the funeral home. Truly beautiful on the inside and out, Dorothy Callander was a blessing in the lives of everyone she met. Outgoing and genuine, she was the sort of person who never met a stranger. It was easy to see that there was no greater gift in Dotty’s life than her family, and she loved nothing more than having everyone gathered together. A bit of an adventurer, she loved traveling around the country, often by motorcycle alongside the love of her life. Dotty fully embraced each and every day she was given and remained content no matter what life brought. Guided by an unwavering faith, she lived to love and serve others first and foremost. Life will never be the same without Dotty here, but she leaves behind a timeless legacy that her loved ones will proudly carry on in her footsteps. It seems only fitting that Dorothy’s journey began during a decade that was as vibrant as she was. It was the 1920s when radios and refrigerators became part of our homes, cars were mass produced on assembly lines, and the lights of Broadway never shined brighter. Amidst this exciting time was a time of great excitement in the lives of Edwin and Margaret (Schaefer) Tippett as they announced the birth of the baby girl they named Dorothy on February 8, 1920, in Toledo, Ohio. The oldest of the Tippett children, she was raised in the family home alongside her brothers, Jim and Bill. Dotty loved her childhood home, and while growing up she and her father created a special bond while fishing together. For the rest of her life, Dotty always enjoyed fishing. She attended local schools and graduated from DeVilbiss High School in Toledo in 1938. From there Dotty went to the University of Toledo as a business major, graduating in 1942. Not to be forgotten during her years in school was Dotty’s introduction to the young man of her dreams. His name was Glen Callander, and he was in medical school when they met. Deeply in love, Dotty and Glen were married on October 23, 1943. With the end of WWII, they went to Ann Arbor for Glen’s residency. After his residency they loved the state of Michigan so much that they wanted to stay. Although they originally looked at settling in Traverse City, they chose Kalamazoo since the Traverse City area didn’t have that much to offer. A few years later, Glen was recalled by the military to fulfill his obligations during the Korean Conflict.  While he was overseas, Dotty was a single parent for a few years while living in California. They were blessed with four children, Susan, Douglas, Bruce, and Steve. Because Glen worked many hours at the hospital, the bulk of the child rearing and household duties were left for Dotty. She handled them beautifully, and although she was compassionate she was definitely in charge! Dotty was there to support Glen and her children in all their endeavors, events, and activities. Meal times were always important, and she made sure that the kids all ate together. Dotty made an enormous impact in the lives of everyone she met. Social and outgoing, she loved entertaining and throwing parties for friends. Dotty had a wide circle of friends as she enjoyed playing Bridge and the occasional round of golf. Always the entertainer, for years she had Fourth of July parties, and Scarecrow Freddie would lead the annual parade. Later, Dotty organized last day of school picnics for her grandchildren, and the Callander house was always a meeting place for their frequent dinner parties. Within the Kalamazoo community, Dotty was involved in many clubs including being president of the Kalamazoo Medical Auxiliary. She drove for Meals on Wheels, was a member of the Kalamazoo Service Club and Junior League of Kalamazoo, and she worked for the club’s Nearly New Shop. 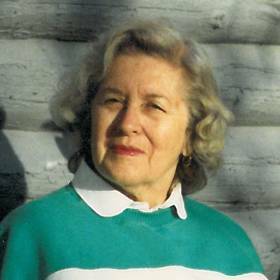 Dorothy transcribed Braille, was an avid supporter of Pretty Lake Camp, and was a longtime member of the First Presbyterian Church. Over the years Dotty was always busy, and she loved being with others. An adventurous couple, she and Glen traveled extensively over the years. They even took motorcycle trips across America, sailed the Great Lakes in their Boston Whaler, and traveled internationally. 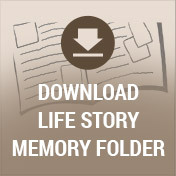 Dotty kept journals of her adventures, which later became cherished mementos to her children. She was delighted to become a grandmother, and she treasured the times they spent all together as a family. Dotty was known for her love for Christmas, and she spent all year planning how to make it special for her loved ones each year. Some of the family’s favorite memories were made during the holidays. Sunday dinners were also special times for the family to spend together. 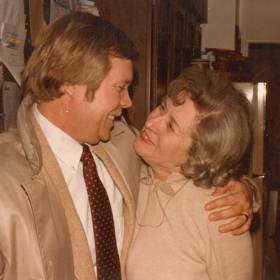 Dotty loved Lake Michigan, and for years the message on her answering machine was, “A beautiful day at Lake Michigan and would be more beautiful with a message from you.” She loved reading and writing, and with her love for books she dreamed of opening her own bookstore in Kalamazoo. Dotty loved all kinds of genres when it came to reading, but her favorite books were the Wizard of Oz and the Many Adventures of Winnie the Pooh, whom she often quoted. She was particularly close to her brother Jim, his wife Linda, and their children, Ann, Dave, Mike, and Jack. Although she wasn’t able to get around as much after Glen’s death, Dotty kept in touch with people with by computer. When she needed more assistance later in life, she moved into Wyndham West, part of the Heritage Community of Kalamazoo in 2015. Dotty easily adapted to her new surroundings and became friends with several residents and the staff. 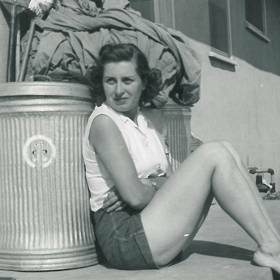 All who knew Dorothy Callander would agree that she brought the world around her to life. She was outgoing, gracious, and polite with friends of all ages. To know Dotty was to love Dotty, and there was no one who met her and left unchanged. Deeply devoted to her family, she taught them invaluable lessons in life such as being polite and proper, using good manners and grammar, and how to love and accept everyone without condition. Deeply loved, Dotty will be forever missed. 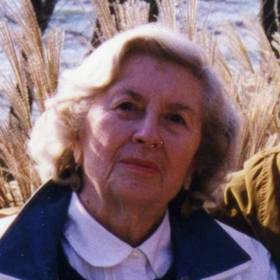 Dorothy “Dotty” Callander of Kalamazoo died on Friday, April 7, 2017. Dotty’s family includes her children: Susan (Dr. David) Doan, Douglas (Eleanor) Callander, Bruce (Diane) Callander and Steve Callander; 9 grandchildren; 12 great-grandchildren; and special nieces and nephews. 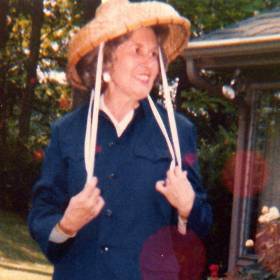 Dotty was preceded in death by her husband, Dr. C. Glen Callander, and 2 brothers, Jim and Bill Tippett. Visit with family and friends while sharing food and refreshments on Wednesday (April 12, 2017) from 4-7 p.m. at the Betzler Life Story Funeral Home, 6080 Stadium Drive; Kalamazoo (269) 375-2900. Dotty has been cremated and a service to celebrate her life will be held at 2 p.m. on Thursday at the First Presbyterian Church, 321 West South Street. Please visit Dotty’s personal web page at www.BetzlerFuneralHome.com, where you can archive a favorite memory or photo and sign her online guestbook before coming to the funeral home. Memorial donations may be made to Pretty Lake Camp, Meals on Wheels, or First Presbyterian Church.